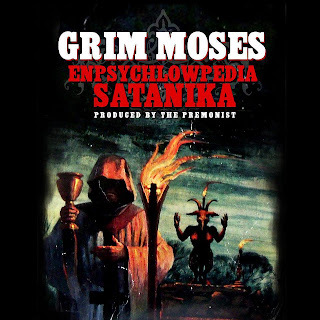 Grim Moses - Enpsychlowpedia Satanika (2012) Out now! Grim Moses release his new album named "Enpsychlowpedia Satanika" which is entirely produced by The Premonist (Of The Society Of Invisibles). The album consists of nine tracks, and offer a guest appearance from The Society Of Invisibles. 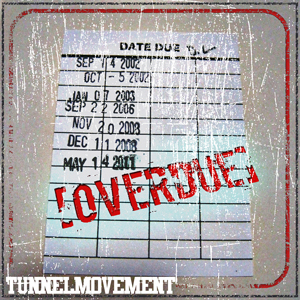 Tunnel Movement is current with the new album, "OverDue", which is released as a free album. 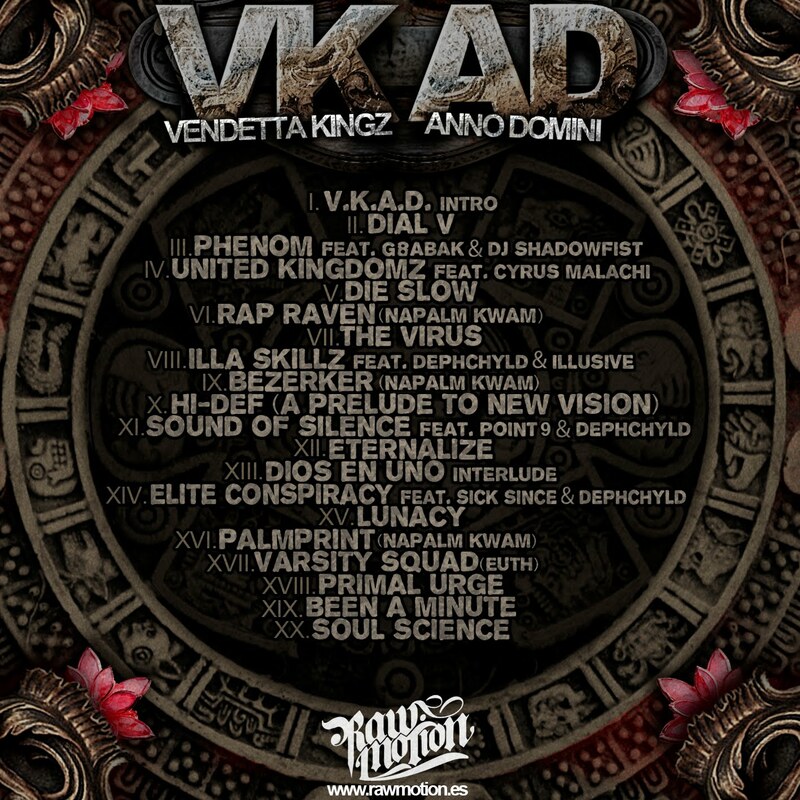 The album consists of 13 tracks, and offer guest appearances from artists like: Custom, Sarcastik, Words, and Prime. 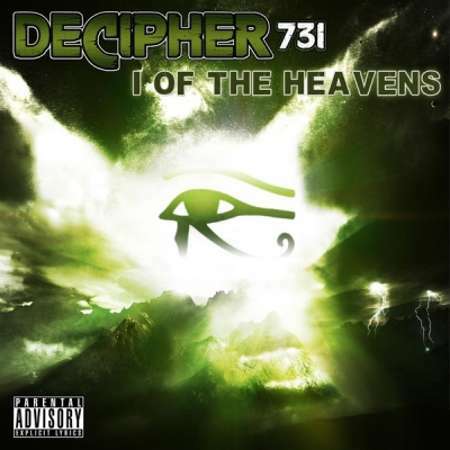 Productions from: Toufik, Al'Tarba of Grim Reaperz, Crown of Grim Reaperz, Appetite, ABC, Oxydz of Grim Reaperz, Denom One, BigBlizz617, and Jimmy Digital. Cuts by: Dj Nixon and Dj Modesty. 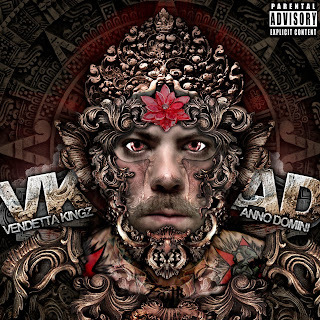 Vendetta Kingz & Anno Domini - V.K.A.D. (2012) Out now! 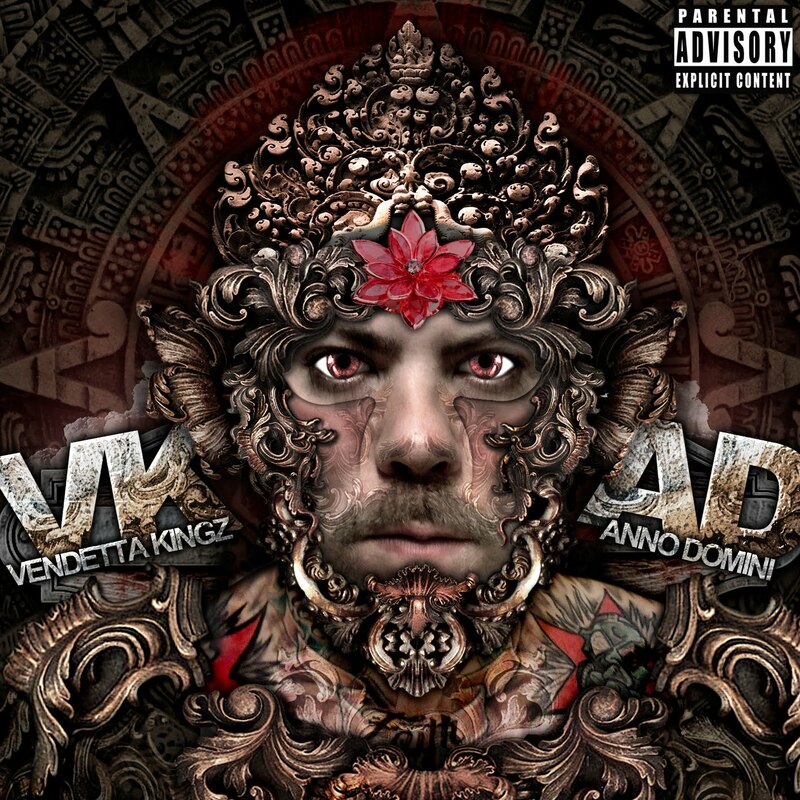 Vendetta Kingz and Anno Domini is current with the new album, "V.K.A.D.". 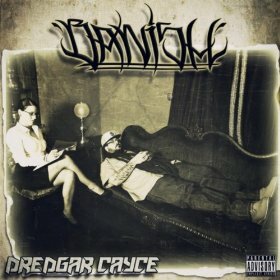 The album consists of 18 tracks, and offer guest appearances from artists like: G8ABAK, DJ ShadowFist, Cyrus Malachi, Napalm Kwam, Dephchyld, Illusive, Point 9, Sick Since, and Euth. Entirely produced by Anno Domini Beats. 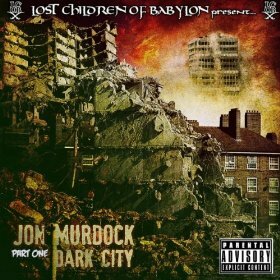 Jon Murdock of Lost Children Of Babylon (LCOB) released the album "Dark City Part 1" in 2010. 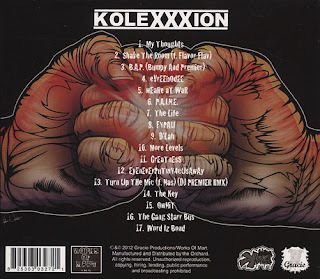 The album consists of 21 tracks, and offer guest appearances from Lex Starwind and Scientific, who are featured on the whole album (almost). Jordan River Banks - All The World's A Stage (2009) Out on KdawG's Youtube channel now! 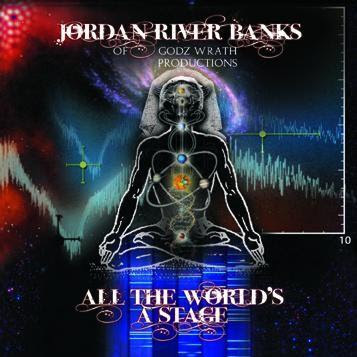 You can now check out two tracks from the instant classic album "All The World's A Stage" From Jordan River Banks! 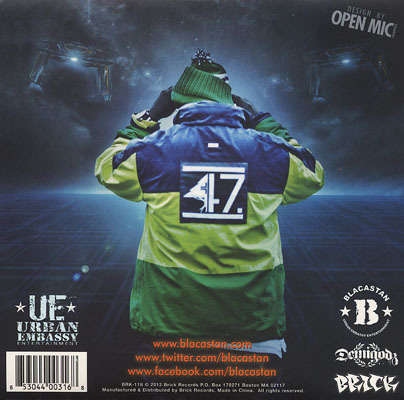 The album consists of 20 tracks and offer guest appearances from artists like: MOD the Black Marvel, Thun, William Cooper, Killah Priest, Tragedy Khadafi, Ciph Barker, Bigge, Ty, SOS, and Hell Razah. Pep Love of Hiergolyphics is current with his new album, "Rigmarole", through Hieroglyphics Imperium Recordings. 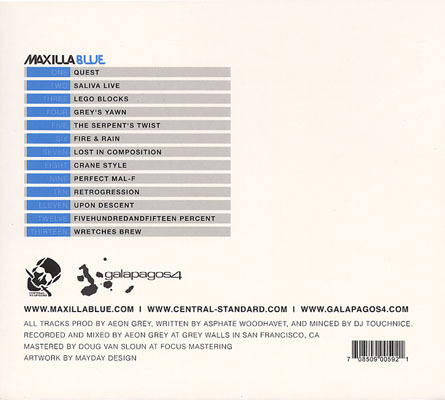 The album consists of 17 tracks, and offer guest appearances from artists like: Chris Rene, DJ Platurn of Oakland Faders, Knobody, LB Select, and Opio of Souls Of Mischief. Productions from: Aagee, Billion Coast, Nima Fadavi, Scandal Beats, Steven King, and UnJust. 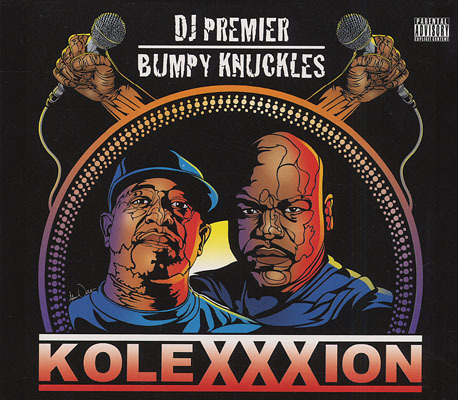 DJ Premier & Bumpy Knuckles - Kolexxxion (2012) Out now! 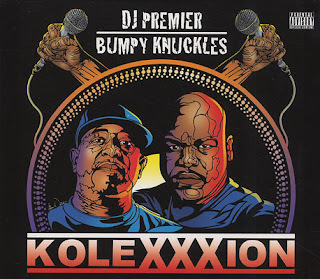 The legendary DJ Premier (of Gang Starr) and Bumpy Knuckles aka Freddie Foxxx are out with the collaboration album "Kolexxxion". 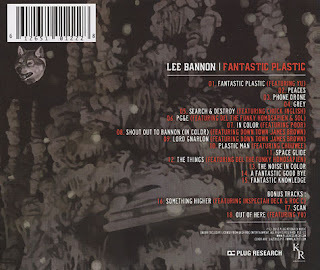 The album consists of 17 tracks, and offer guest appearances from artists like: Flavor Flav of Public Enemy, and Nas. 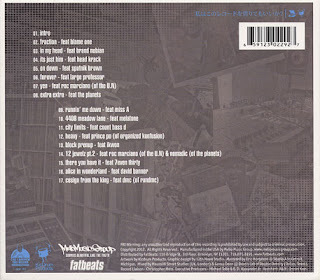 The album is entirely produced by DJ Premier of Gang Starr, except of the last track, number 17, "Word Iz Bond" which is produced by Freddie Foxxx aka Bumpy Knuckles. 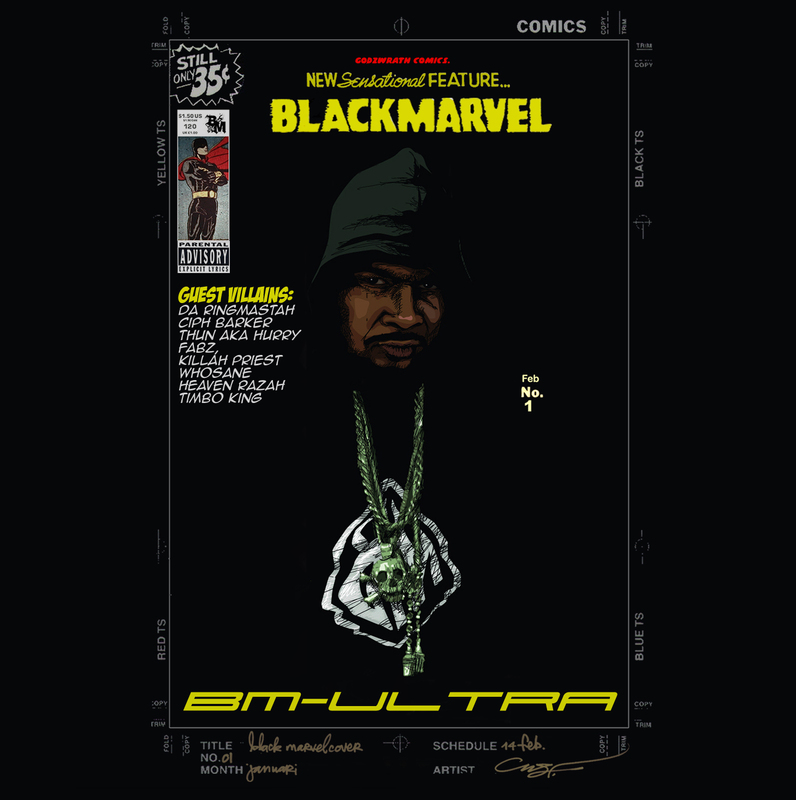 Black Marvel is out with the album "BM-Ultra". 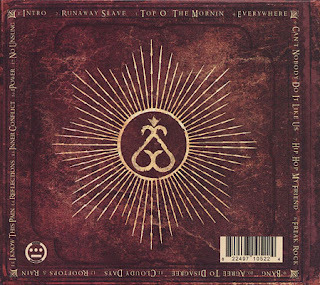 A thought-provoking album, with guest appearances from Killah Priest, Ciph Barker, Whosane, Heaven Razah, Timbo King, Thun A.K.A Hurry Fabz of T.N.T, and Jordan River Banks. 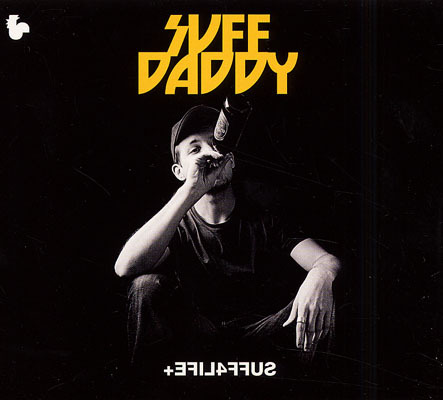 The album was released through SuperCharger Records. 09. S.H.S.B. Feat. 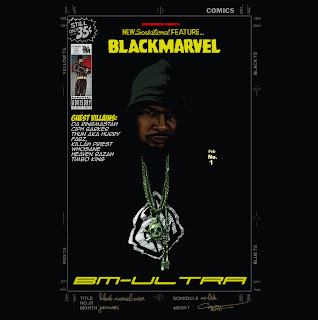 Black Marvel, & Thun A.K.A Hurry Fabz of T.N.T. 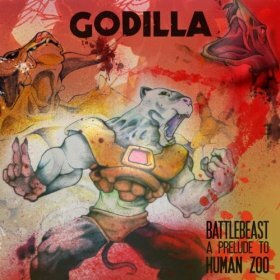 Godilla - Battle Beast: A Prelude To Human Zoo (2012) Out now! Godilla releases his new album, "Battle Beast: A Prelude To Human Zoo", through Red Phone Records. 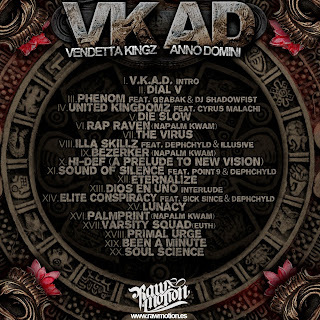 The album consists of 19 tracks, and offer guest appearances from artists like: Dj Absurd, Tone Liv, Phaze Wun, C. Raine, June Marx, L.I.F.E., Scheme, King Magnetic, Tug Mcraw, Ali Armz, Aeyone, Glomgold, Thirstin Howl The 3rd, Nine, Adlib, Born Unique, Sha Stimuli, Jukstapose, Nightwalker, Matt Maddox, and Toussaint The Liberator. 06. Golden Era Faculty Feat. June Marx, & L.I.F.E. 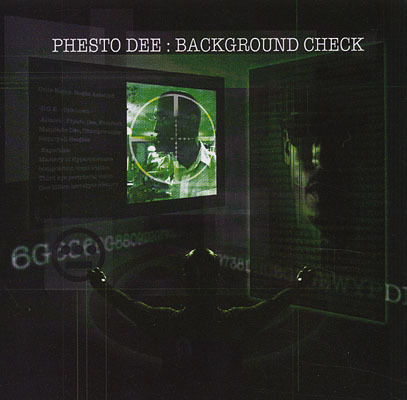 Phesto Dee (of Souls Of Mischief) - Background Check (2012) Out Now! Phesto Dee of Souls Of Mischief releases his new album "Background Check" through Hieroglyphics Imperium Recordings. 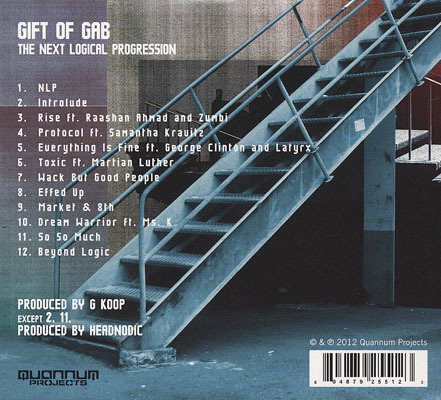 The album consists of 17 tracks, and offer guest appearances from artists like: Del The Funky Homosapien of Hieroglyphics, Nayo Moon, and Pep Lava. 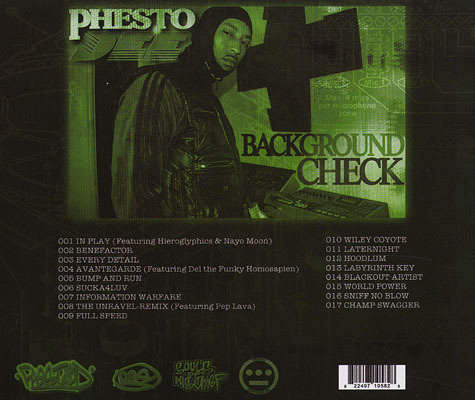 Productions from: A-Plus of Souls Of Mischief, Doc (Khalil) Hazzard, Kev Choice, and Phesto Dee of Souls Of Mischief. 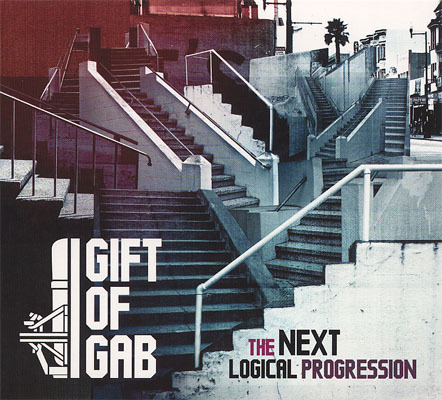 Gift Of Gab - The Next Logical Progression (2012) Out now! Gift Of Gab releases the new album, "The Next Logical Progression" through Quannum Projects. The album consists of 12 tracks, and offer guest appearances from artists like: George Clinton, Latyrx (Lateef The Truth Speaker & Lyrics Born), Martian Luther, Ms. K, Raashan Ahmad of Crown City Rockers, Samantha Kravitz, and Zumbi aka Zion of Zion I. 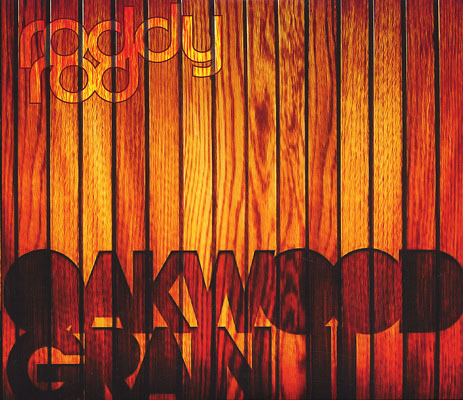 Productions from: G Koop, Headnodic of The Mighty Underdogs & Crown City Rockers). Brand new Unofficial Music Video by KdawG, this time for a Unknown Prophets track called "Don't Do It The Same". 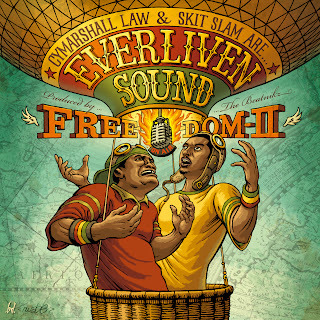 Straight Hip Hop, and a revolutionary joint by the Prophets! Check it out! You can now listen to some of the tracks from the latest mixtape release by Empty Handed Warriors at KdawG's Official Youtube channel. It is also rumored it will come a second volume of Occupy The Industry, so stay tuned! 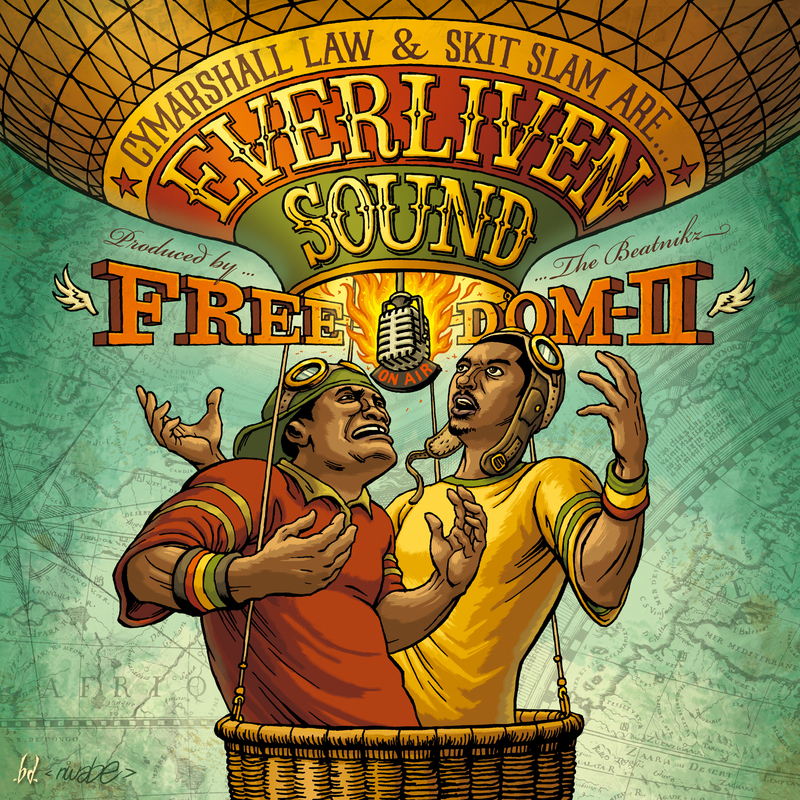 The instant classic album and the sequel to "Freedom" - Freedom II by Everliven Sound (Cymarshall Law & Skit Slam) is now available on KdawG's Official You Tube channel (some tracks). The album consists of 18 tracks. To listen to the whole album please purchase it. 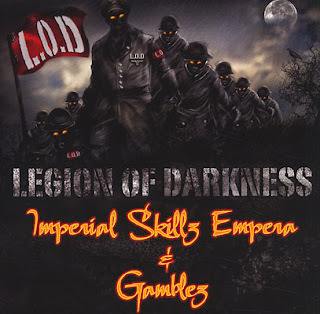 Imperial Skillz Empera & Gamblez is current with the new collaborations album "Legion Of Darkness" through Horror Chamber Inc. The album consists of 16 tracks, and offer guest appearances from artists like: Animal Cracker, Bimes Ill, DJ Coach One, DJ Extremediz, DJ Twisted, Fake Flint, Frantik, Graveyard Shifter, Icabod Chang, Jotaka, Konflikt The Guilotine, Labal-S, Omen Ra, Oz Arc Raider, Pryme Prolifik, Raaddrr Van, Rypa, Scar The Messenger, Se7en Sandman, Si-Klon, Skul Bludgeon, Skull Damage, Son Of Saturn, TMB, and Vice Versa. The album is entirely produced by Imperial Skillz Empera. Blak Madeen - Divine Power Culture (2012) Out Now! 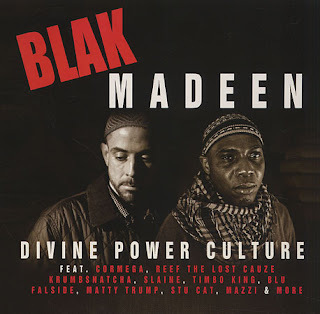 Blak Madeen releases the Mixtape called "Divine Power Culture" through Leedz Edutainment. The Mixtape consists of 17 tracks, and offer guest appearances from artists like: Blu, Cormega, Goodbrother Musa, KrumbSnatcha, Mazzi, Reef The Lost Cauze, Slaine of La Coka Nostra & Special Teamz, Stu Cat, and Timbo King. Productions from: DJ Benny, DJ Slipwax, Falside, Matty Trump, Rich Five, Rob Whitaker, Skin Ced, Teddy Roxpin, and Tha Don Bendetto. 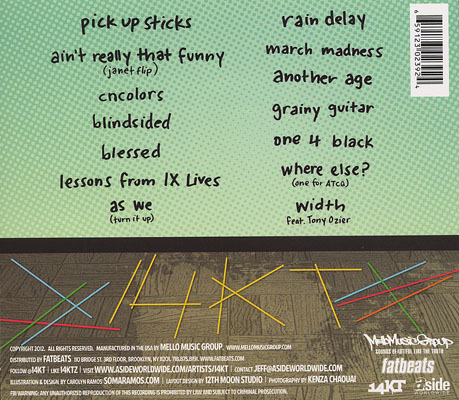 You can now check out some of the tracks from the album "The Return Of Niburu" From Sick Since back in 2008. 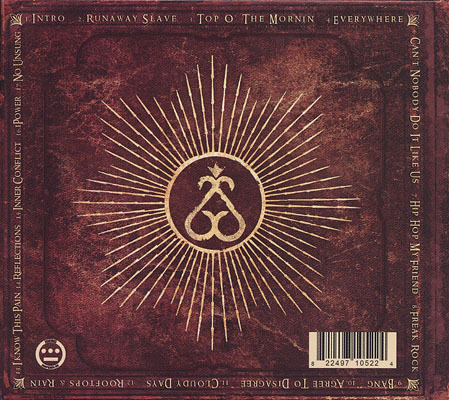 This is a WAKE UP album with some thought-provoking material. Classic. 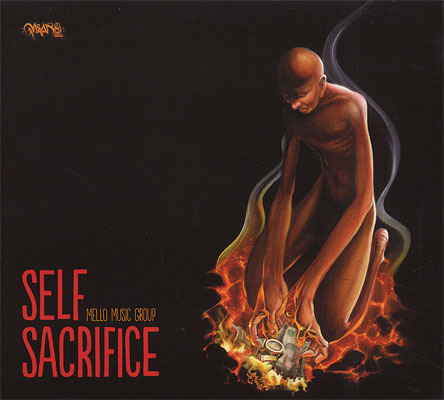 Mello Music Group - Self Sacrifice (2012) Out Now! 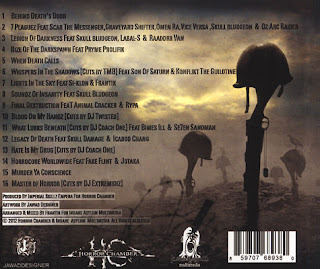 Another great release from Mello Music Group, this time the album called "Self Sacrifice" containing guest appearances from some of the greatest Underground artists in the game. You can check out six tracks from the album at KdawG's (Official) You Tube Channel (Promo) - Right HERE! 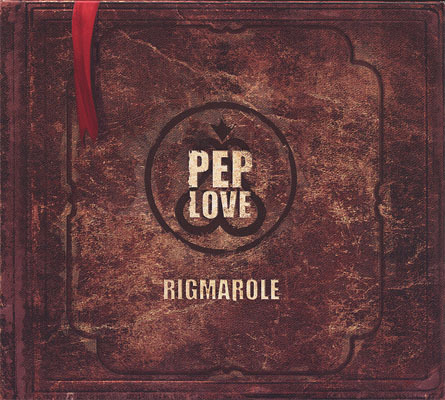 The album consists of appearances from artists from/signed Mello Music Group. Artists like: DJ Soko, yU of Diamond District, Oddisee, O.C. of D.I.T.C., Has-Lo, Roc Marciano of U.N., Black Milk, Godly MC, Toine of DTMD, Kev Brown, Stik Figa, Kenn Starr, Boog Brown, Wise Intelligent of Poor Righteous Teachers, Finale, and Hassaan Mackey are all featured on the album. Productions from: Def Dee, Oddisee, Apollo Brown, Illmind, Gensu Dean, Black Milk, Dunc of DTMD, Kenwood, Georgia Anne Muldrow, and Nick Tha 1Da. The album consists of 17 tracks. 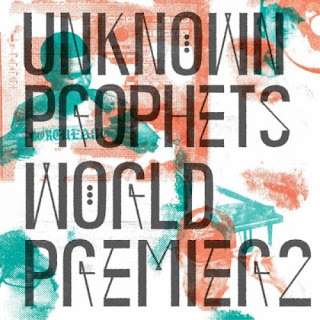 Unknown Prophets - "World Premier 2". 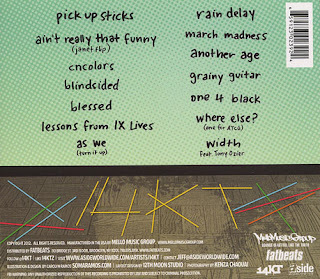 The album was released Nov 08, 2011. The album consists of 12 tracks, and offer a guest appearance from Fatima Lily on track number six, "Ready For Whatever". Let's look back to 2008, and the album "I Of The Heavens" by Decipher 73i. A true classic spiritual/revolutionary album, you can now listen to some of the tracks on KdawG's (Official) YouTube channel! But, please support the artists and buy the album, then you can listen to the whole album. The album was released through Insane Asylum Recordings. 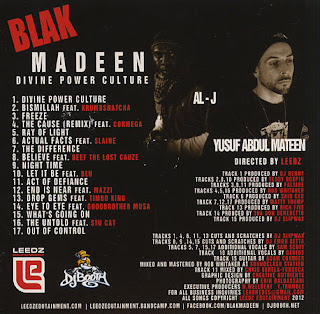 The album consists of whole 25 tracks, and offer guest appearances from artists like: Atun Sen Geb, Rhetoric, Gamblez, Gage-One, Frantik, Aslaam Mahdi, Tos-El Bashir, Sick Since, Ill-Mega, and Jon Murdock. Interludes by Dr. Malachi Z. York. The brand new Instrumentals album from 14KT - "A Friendly Game Of KT" now available in several online stores! Once again, it's through the hard-working Record Label Mello Music Group. The album consists of 14 tracks, entirely produced by 14KT. Tony Ozier is featured on the last track on the album, called "Width" which is also produced by 14KT. Cyclonious & Duby Intelligent - The Army Of Two (2012) Out Now! 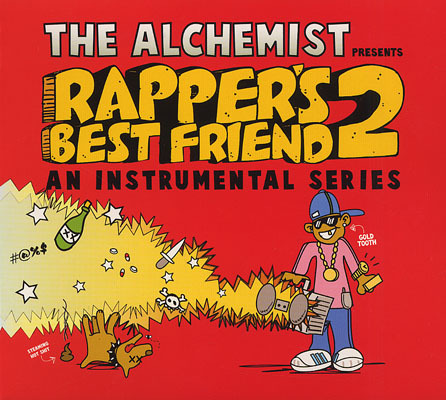 The Alchemist - Rapper's Best Friend 2 (2012) Out Now! 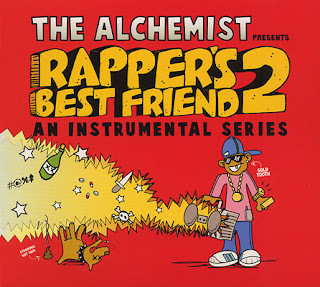 New Instrumentals album from The Alchemist, "Rapper's Best Friend Pt. 2" now available in several online stores through Decon Records. 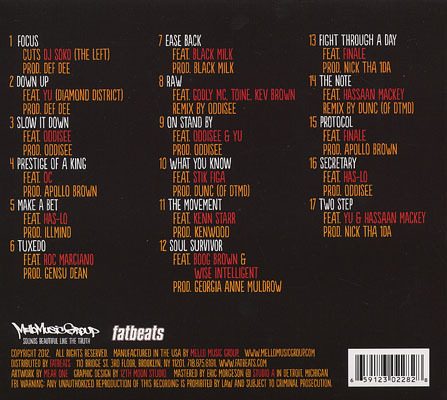 The album consists of 14 tracks (Instrumentals), all entirely produced by The Alchemist. 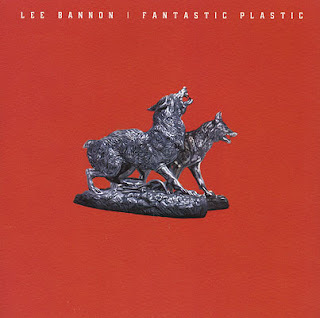 New album from Lee Bannon, called "Fantastic Plastic" now available at several online music stores. The album consists 18 tracks, and offer guest appearances from artists like Chuck Inglish of The Cool Kids, Chuuwee, Del The Funky Homosapien of Hieroglyphics, Down Town James Brown, Inspectah Deck of Wu-Tang Clan, Poor of Tribe of Levi, Roc C, Sol, and yU of Diamond District. Entirely produced by Lee Bannon. Roddy Rod is out with the instrumentals album "Oakwood Grain 1 & 2" It is a double disc record, including his new instrumentals album "Oakwood Grain 2", but it is also a couple tracks that are featured. The album consists of 21 tracks and offer guest appearances from artists like Bilal Salaam, Choppy Choppe, Cynthia Hawkes, Finale, Muhsinah, and Wayna. 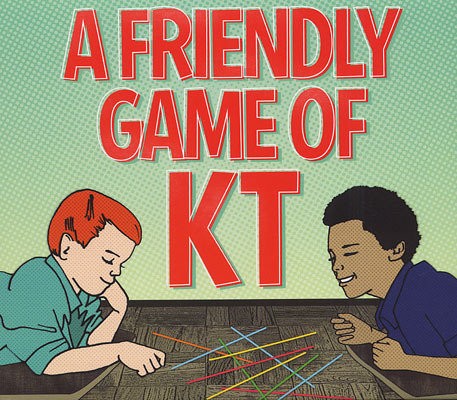 Entirely produced by Roddy Rod. Unofficial Music Video for "Mathemagical Matrix" by Presto and Sick Since. Blacastan - The Master Builder Part 2 (2012) Out now! 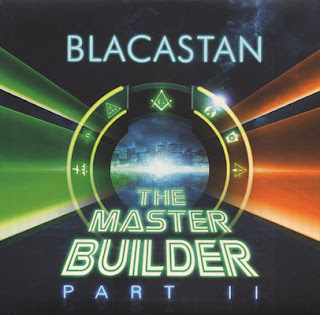 Blacastan is current with his new album, "The Master Builder Part 2" through Brick Records. The unmixed album version consists of 22 tracks, and offer guest appearances from artists like: Asylum Lifetime, Celph Titled, ColomBeyond, Correct 1, DJ Food Stamp, Doap Nixon, Doo Wop, Emilio Lopez, Moe Pope, N.B.S., Outerspace (Planetary & Crypt the Warchild), Reef The Lost Cauze, Sherm Larock, Slaine of Special Teamz & La Coka Nostra, and V-Zilla. Productions from: ChumZilla, ColomBeyond, DJ Doom, Frank Dukes, Mr. Green, Paul Poundz, Sherm LaRock, and Silvamore. You can also order the Mixtape Version, mixed by Doo Wop & Mr. Peter Parker. Banish releases the new album "Dredgar Cayce", which includes whole 20 tracks. The album offer guest appearances from artists like: Crooked I, Beenie Man, Aims, Ill Bill of La Coka Nostra & Non Phixion, James Heated, Block McCloud of Army Of The Pharaohs (AOTP), Rakaa, Demoz of Army of the Pharaohs (AOTP); Planetary of Outerspace, Outerspace, Reef The Lost Cauze, King Magnetic, and Doap Nixon of Army Of The Pharaohs (AOTP). Maxilla Blue (The trio consisting of Aeon Grey, Asphate Woodhavet, & DJ TouchNice) keeping the culture alive with their new release "Volume 3". 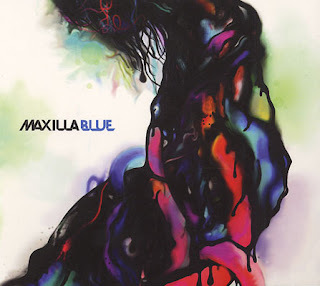 The album consists of 13 tracks, entirely produced by Aeon Grey of Maxilla Blue. 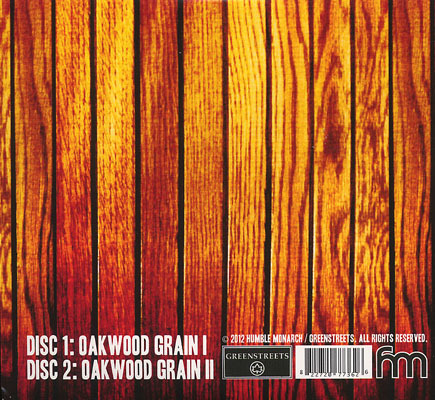 All tracks are produced by Aeon Grey, written by Asphate Woodhavet, and mixed by DJ TouchNice. Recorded and mixed by Aeon Grey at Grey Walls in San Francisco, California. Mastered by Doug Van Sloun at Focus Mastering. Artwork by Mayday Design. Gensu Dean is current with his new release, "Lo-Fi Fingahz" through Mello Music Group. The album consists of 17 tracks and offer guest appearances from artists like: Blame One, Brand Nubian (Lord Jamar & Sadat X), Headkrack of Bodega Brovas, Sputnik Brown, DJ Chief One, Large Professor of Main Source, Roc Marciano of U.N., The Planets, Miss A, Melatone, Count Bass D, Prince Po of Organized Konfusion, Ikwon, 7evenThirty, David Banner of Crooked Lettaz, and DMC of Run D.M.C. 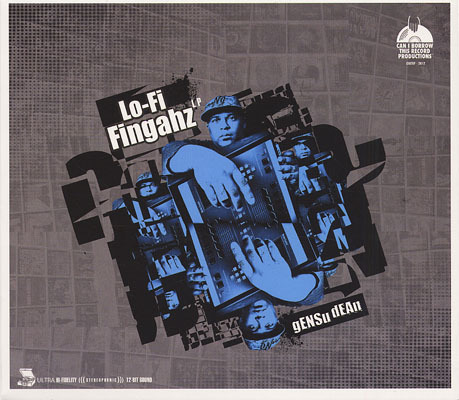 Entirely produced by Gensu Dean. 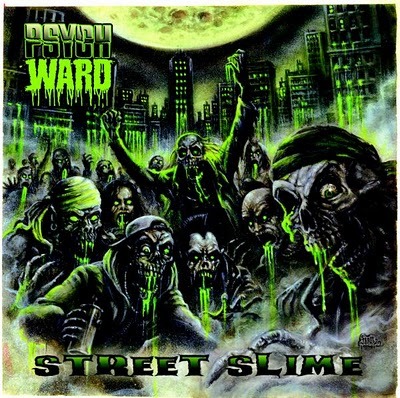 Psych Ward releases the new album "Street Slime" through Reel Wolf Records. The album consists of 19 tracks, and offer guest appearances from artists like: King Magnetic, So Sick Social Club, Block McCloud, Sabac Red, Swann, Blaq Poet, and Riviera Regime.